In today’s globalized world private kindergarten “NEMO” welcomes children of all nationalities and cultures. The children integrate themselves in the groups very quickly thanks to their communication with our teachers and staff which is full of love. In a family-like atmosphere the parents are invited to introduce their child and the country they come from. Thus children get acquainted with rites and traditions of other peoples; they learn to respect and tolerate the otherness and the different. 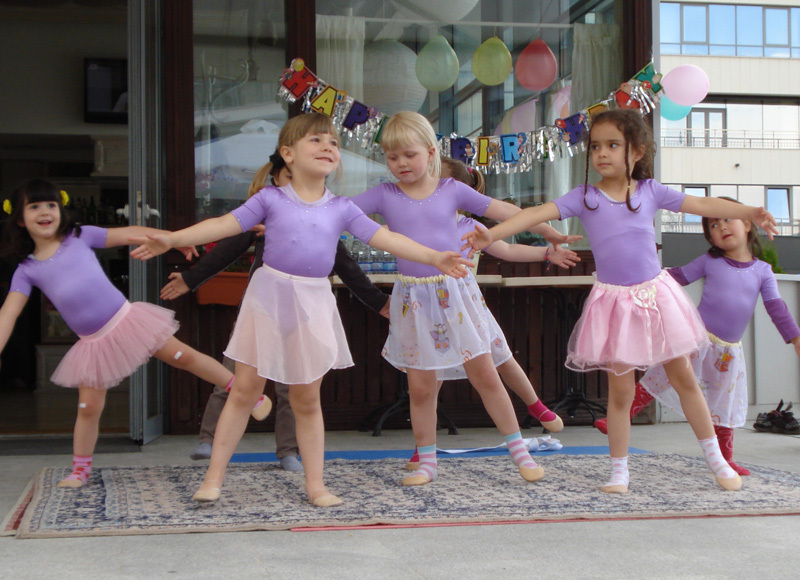 At PKG “NEMO” we do our best to make sure that children of different nationalities feel good and make friends. For the German and English speaking children there is a foreign language teacher throughout day who takes care of their wills. Our private kindergarten offers full-day education in groups of 10 to 15 children according to age for the age groups 2 to 6. We bring up and educate children with a lot of music. We offer music not as a separate discipline once or twice a week; rather music is part of our everyday life, a means for communication which broadens the children’s horizon. They learn to speak through singing, they learn to count through lyrics, they develop their motor skills dancing and jumping, and after the song about the hedgehog, for example, they talk about what it looks like, what it eats… Thus music helps them comprehend the world. In our wonderful house children feel at home. They have three floors at their disposal. In addition to the rooms for the groups, we also have a sports hall, a music and a theater hall, a study hall, a children’s library, many indoor and outdoor playing facilities. Here the children are master artists as well as inventors and explorers. The wonderful atmosphere in the kindergarten encourages them to artistically express themselves through drawings, music and theater. 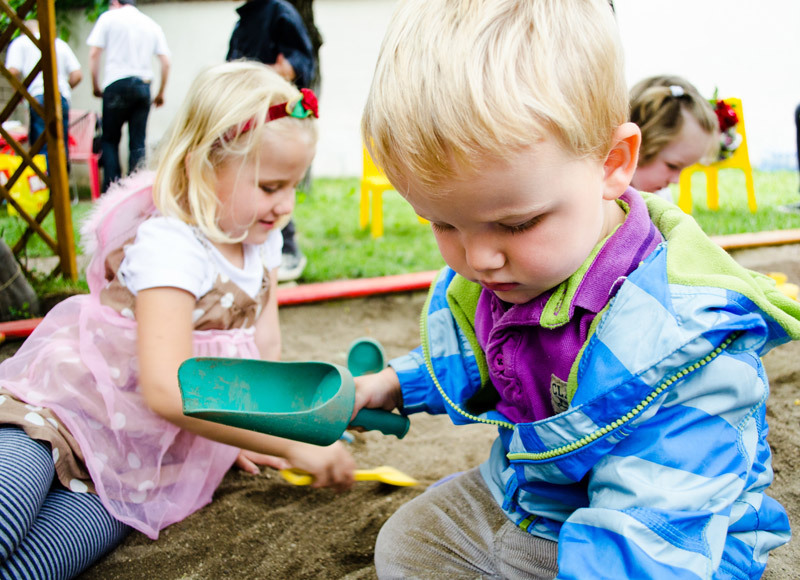 The small groups allow us to have an individual approach to every child which means that he or she has enough time to accumulate knowledge and experience. In the inside yard the children are allowed to happily romp about undisturbed by traffic noise. The children observe the changes of the seasons in bewilderment; they find out the miracle in nature and are curious to identify the links between them. Good morning with a smile. "NEMO’s boat" – Children of different ages spend some time together discussing topics relevant to all of them, communicate freely, help each other, learn to respect and tolerate other. Learning through playing – each in their own group – for some more, for other less. Don’t forget the fruit and vegetable breakfast at 10:30. "NEMO’s boat" is outside – on the playground, on the veranda or in the yard. We are hungry! ... We’ve eaten everything again. Sweet afternoon nap, ... Well, for some it’s too short but still it’s a rest. Back at the table – what’s the delicious surprise today?! Silence! "NEMO’s boat" is casting anchor and is getting ready for the next day!